Location: 1E Jalan Sungai Kelian. 11200 Tanjung Bungah, Penang. First of all, I would like to thank the both "A" for this success gathering. They are "Alan" and "Allie". 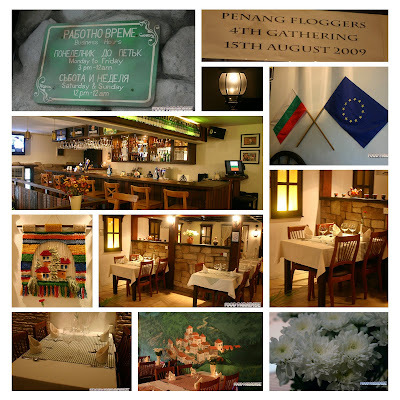 They came out with the idea to vote which restaurants should we dine in for the gathering. 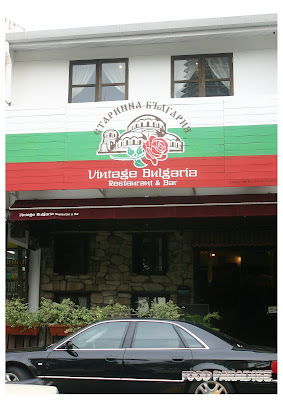 End up we had :Vintage Bulgaria" the most popular choice. So end up we were there. 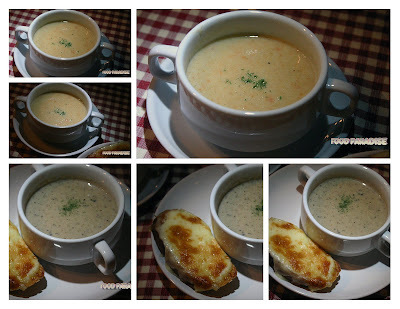 We had a nice package of RM40 nett per person which includes: soup, main course, dessert and beverages (Cordial drinks, coffee/tea). I am glad that there are 6 of us in our tables for the night. So we decided to order everything that we could get for the night to try. Isn't it a good idea right? 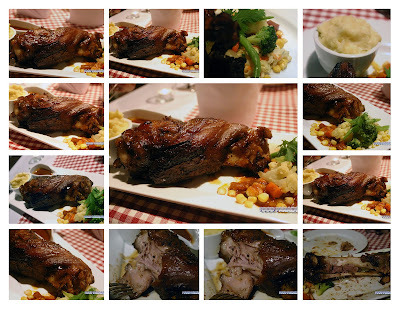 Before I went to the gathering, I already saw many review about this pork knuckles. And all of them are a very good review. So this is a must for me to try during the gathering. At first I was worried that it is very oily. But the outcomes came out to be not as oily as I expected it to be. Even Cariso who are not a fans of pork knuckles falls in love with this. Out of surprise that I saw her ate quite lots of the pork knuckle. The pork knuckle is marinated with sauces and herbs. 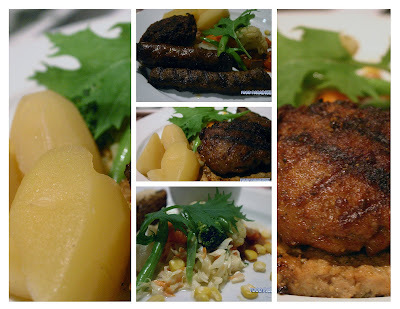 It is quite a nice main course to try but I personally found that it is a bit too salty and dried in some part of the pork knuckle. I found that the Bulgarian platter is a bit too dry for me. 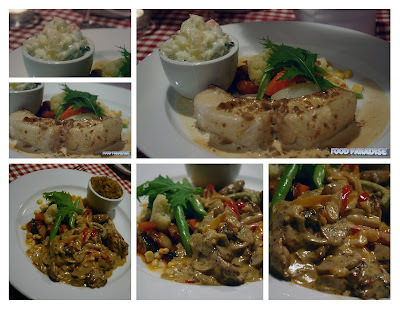 Photo in Lower section: Chicken Stroganov ~ boneless chicken drumstick cut in strips, cooked with mushroom, wine, cream, herbs and spices. The chicken is very tender and if you are mushroom lover, you will definitely love the taste of the coated sauces. If you are the type pf person that worried that it will be too "rich" due to the cream used. Then you don't have to worried about this for this dish. As it is a nice balance of ingredients used that will not make you have the too "rich" feeling. There are two types of desserts and once again we ordered 3 Chocolate soup with vanilla ice-cream and 3 chocolate creme brulee. Well, most ladies were after the chocolate soup with vanilla ice-cream. Something sweet and cold for the night. 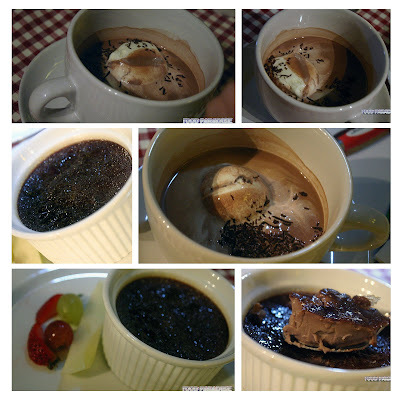 Surprisingly that the chocolate soup with vanilla ice-cream is not too sweet. As for chocolate creme brulee it is a bit too sweet. But something different as I get to try the plain creme brulee before and this one is chocolate creme brulee. 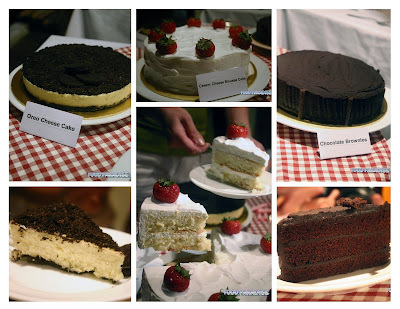 Apart from the desserts from Vintage Bulgaria, we als have some cakes and gelato for desserts. Thanks to Winter Butterfly Homemade Cake and also Gelatissmo for their contribution of cakes and gelato. Winter Butterfly Homemade Cake ~ Oreo Cheese cake, Chocolate Brownies and Cream Cheese Mousse Cake. Location: 46 Taylor Road, 11600 Penang. For the night we get to try the 5 different types of gelato. Please refer to my review of gelato here. 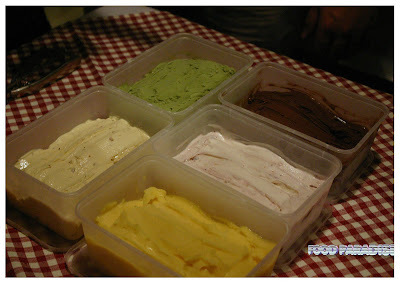 As we get to review them and see the process of doing gelato. Which is a fun outing. Want to know more, please check out the link above. 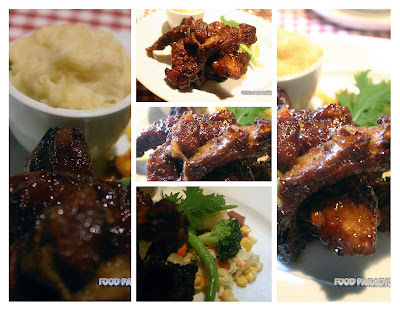 wow, yummy grilled pork ribs! I love this restaurant! Merry Christmas! The pork knuckle of that night was really good. The quality doesn't seem to be consistent as I found out that the later visit which I went alone was too dry.